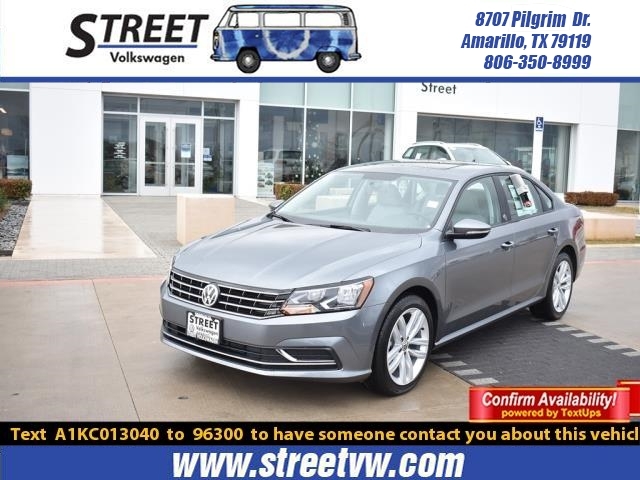 Check out our 2019 Volkswagen Passat Wolfsburg Edition Sedandisplayed in Gray! Powered by a 2.0 Liter TurboCharged 4Cylinder that produces 174hp while paired with an innovative 6 Speed Automatictransmission that provides easy passing. Appreciate the efficiency andreliability of this Front Wheel Drive Passat while scoring near 36mpg on thehighway! Take a seat in our Passat Wolfsburg and find yourself in abeautifully crafted cabin designed for maximum comfort including a sunroof. You will be immediatelyimpressed by the leatherette heated front seats and the plentiful amenitiesincluding Bluetooth, a rearview camera, USB port, and a 6.3 inch touchscreenaudio with CD/AM/FM, auxiliary input, and SD memory card. Other notablefeatures include keyless entry, push button start, dual-zone automatic climate controlwith pollen filter, cruise control, multi-function steering wheel, powerwindows, and 60/40-split folding rear seat. 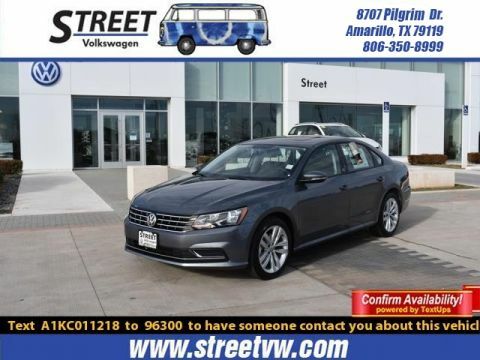 This Passat from Volkswagen shines regarding safety with a wealthof active and passive features. Not only do you have the confidence of ABS,stability control, an army of advanced airbags, and a reinforced safety cageconstruction, but you also have automated emergency braking, rear cross-trafficalert, blind-spot monitoring, forward collision warning as well asintelligent crash response. 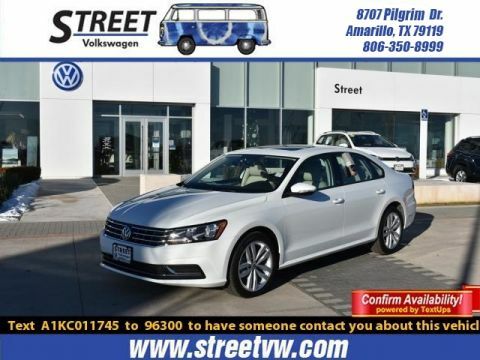 Safe, secure, and stylish, our Passat S is sure toplease you. Print this page and call us Now... We Know You Will Enjoy Your TestDrive Towards Ownership! 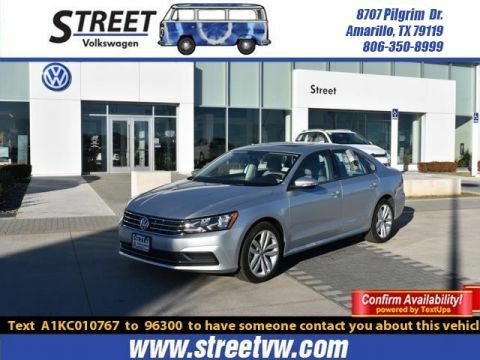 Thanks for choosing Street VW, your Volkswagendealership in Amarillo, TX.